Indian food has long been a passion of mine, from home cooked curries to the table naans of the Balti Triangle, so when I was invited along to a bloggers evening at Itihaas Restaurant I couldn’t say no! Nestled on the edge of the Jewellery Quarter, Itihaas isn’t in a place where I’d usually head to for Indian food, but as soon as you walk in you can feel the authenticity. 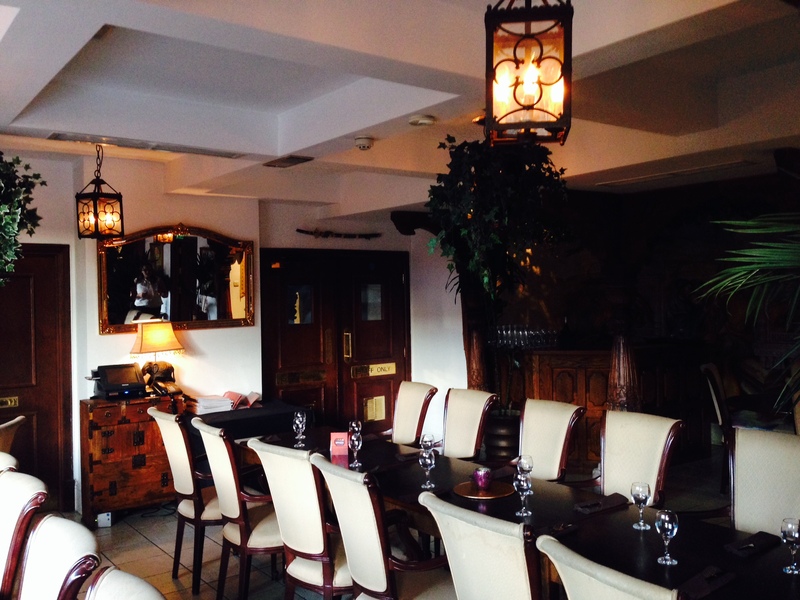 The decor is stunning, with ornate, dark wood furniture, traditional Indian artwork, stone elephants and incense burning. We were greeted with a drinks reception where I had a Mojito and canapes. There were 2 on offer, Paapri Chaat which were little pastries filled with chickpeas, potato and a tamarind sauce, very nice I may add, and Amritsari Cod with tomato relish – lightly battered and spiced cod pieces fried until crisp, which were really good. 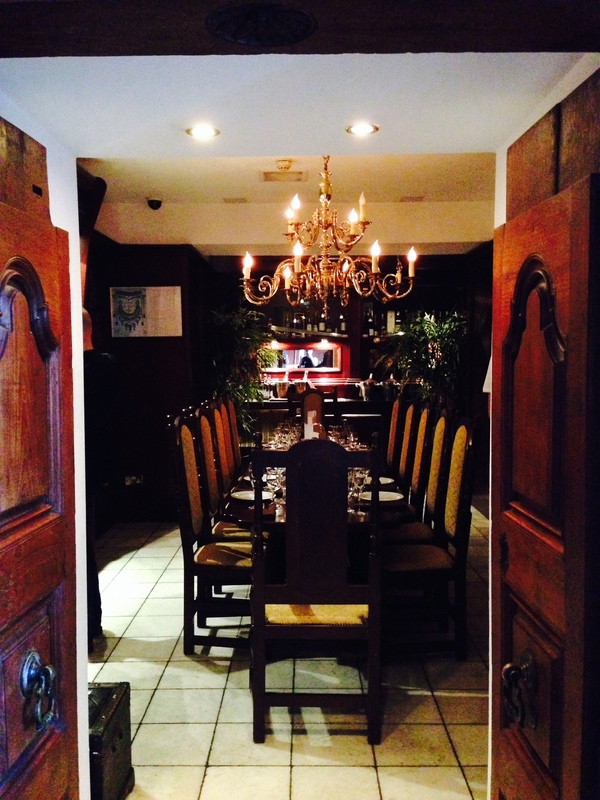 After we finished our drinks we were taken downstairs to our private dining room for the evening. 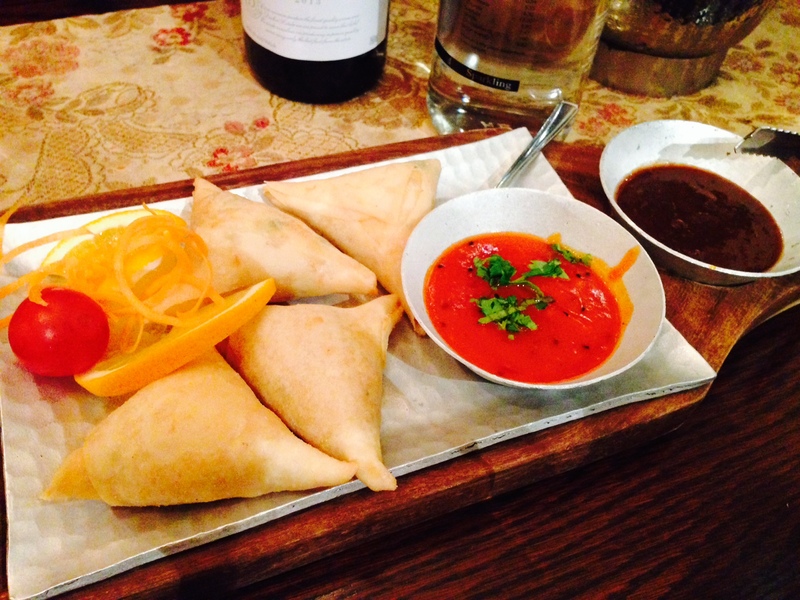 The starters began arriving shortly after, with goats cheese and salmon samosas and tamarind dip, koyla murgh, aloo tikka channa chaat and chilli paneer. The table was literally full of food, a testament to the great hospitality at Itihaas, and there was enough food for everybody to try a bit of everything. Safe to say I didn’t hesitate in getting stuck in and went straight for the samosas. The goats cheese was subtle and the salmon was tasty, but they lacked the spice which I crave so I moved straight onto the aloo tikka channa chat. These spicy little potato patties were served with curried chickpeas, yoghurt, mint and tamarind, which all added up to a delicious mouthful. The tang of the tamarind was complimented by a mild heat from the chickpeas, and the minty yoghurt balanced everything out. Very impressive. 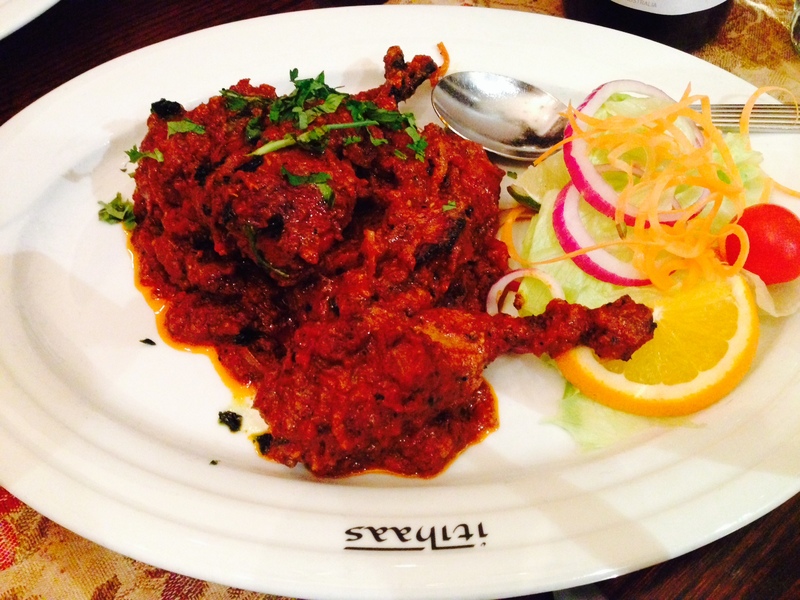 The koyla murgh (aka tandoori chicken) was delicious, and unlike many I’ve had before. The chicken was tender, cooked until falling off the bone, with a deliciously spicy charred crust from the spiced yoghurt marinade. 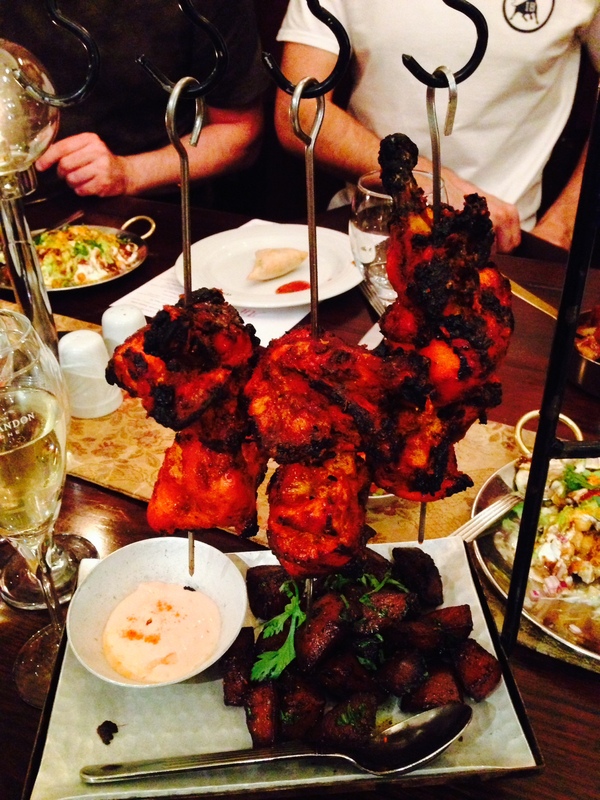 The presentation was exceptional too as it arrived hung from skewers, a real showstopper. 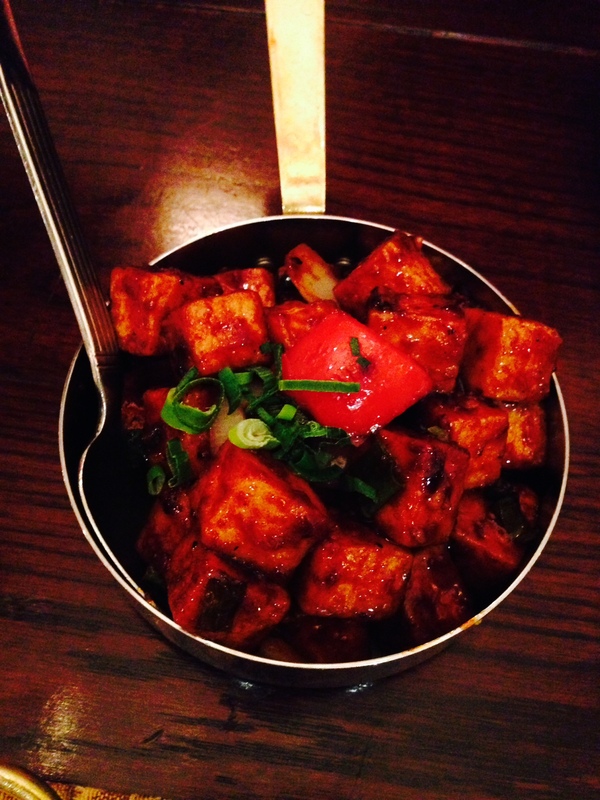 The highlight for me though was the chilli paneer. My affection for paneer started with my Uncle, who first introduced me to the delights of this mild Indian cheese in the form of muttar paneer. This dish however was something else, it was outstanding. 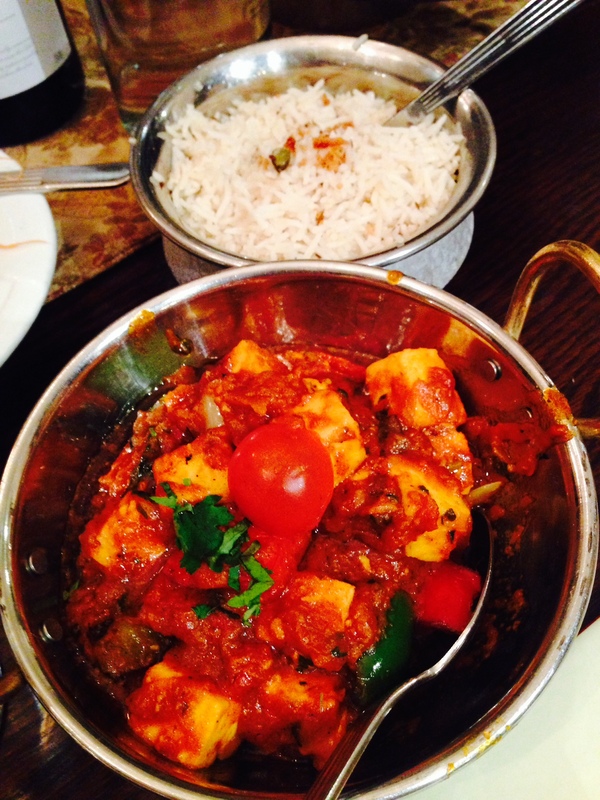 The paneer was fried so the outside took on a crisp texture, while still yieldingly tender inside, almost giving the dish a meaty feel. The chinese spices were warm, complex, and very moreish. I helped myself to seconds of this and it was one of the real standout dishes of the night for me. If I’m honest I could have left at this point and gone home happy and full, but the best was yet to come as the mains were delivered. We were treated to makahani murgh (or butter chicken), lamb chop masala, karahi paneer and lobster panchphoran, all served with cumin rice, mixed naans and Punjabi salad. I started with some naan bread and the makahani murgh, which was delicately flavoured and very delicious, a far cry from the oily, over sweetened butter chicken I’ve had from takeaways in the past. The naan was lovely too, with charred bits on the outside from the tandoor and a lovely buttery flavour. Next was the lamb chop masala, beautifully presented with French trimmed lamb chops and a rich sauce with tomato and coriander flavours coming through. 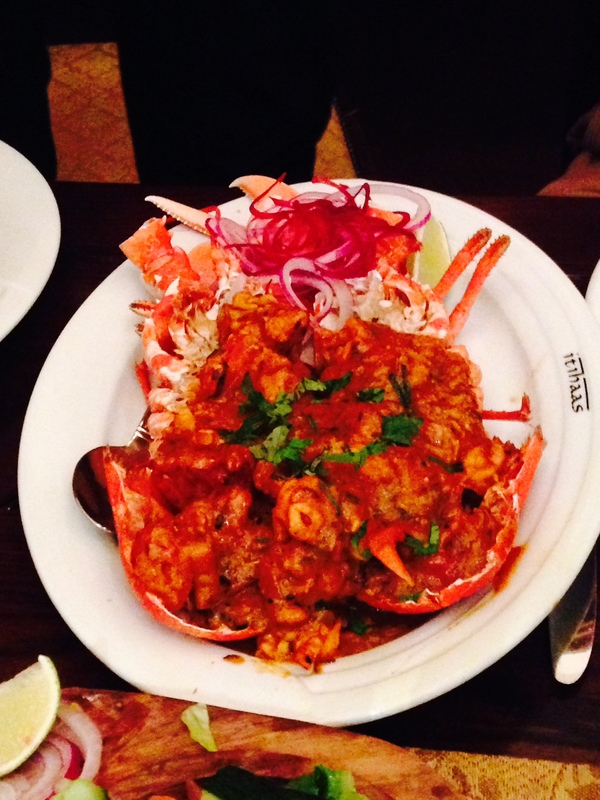 The pièce de résistance was the lobster panchphoran, a whole lobster served in the shell with a spiced coconut curry sauce. I have always loved lobster, and given the choice at a restaurant I would order it, so I was so pleased with this dish. The lobster was melt in the mouth, and the coconut curry sauce complimented the natural sweetness of the meat perfectly. It was a substantial sized lobster too, so plenty to go around which was definitely a bonus as this dish was so tasty that many of us went back for more! The spread was so great that we could easily have fed another few people, and I loved the generosity of the staff who were constantly topping up our drinks, and even offered to make a special milder dish for one of our diners who was intolerant to spicy food, showing that you don’t have to like it hot to enjoy a meal at Itihaas. 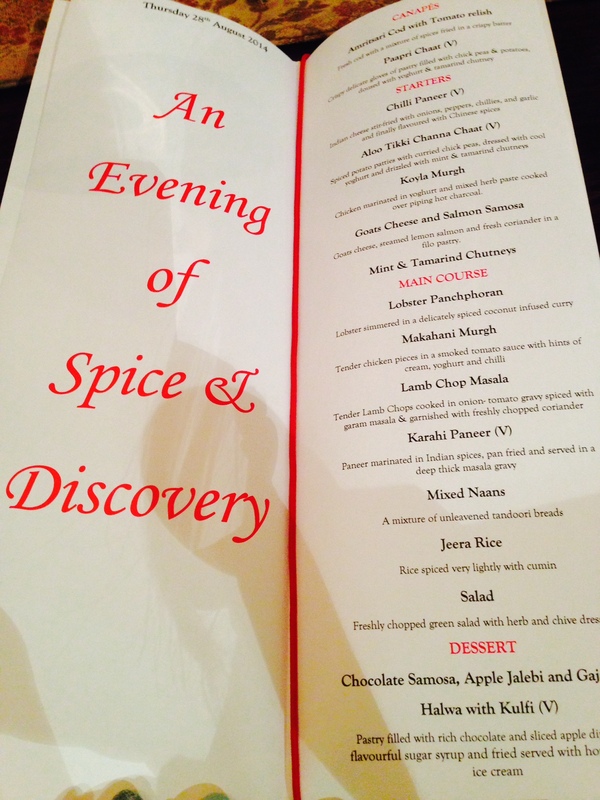 We even got to sample some Indian desserts. 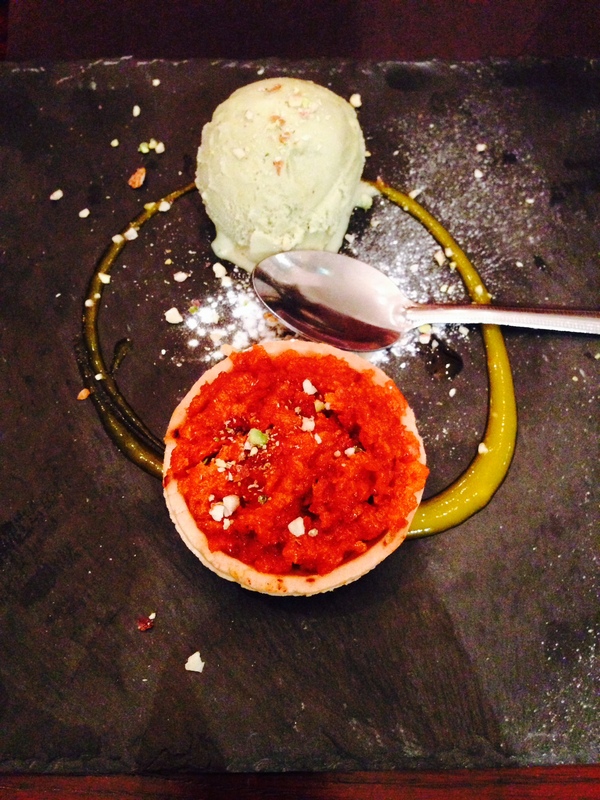 I had an exotic version of carrot cake, which I must admit wasn’t really to my taste, but the pistachio kulfi that came with it was really wonderful, so sweet and with a really good pistachio flavour. 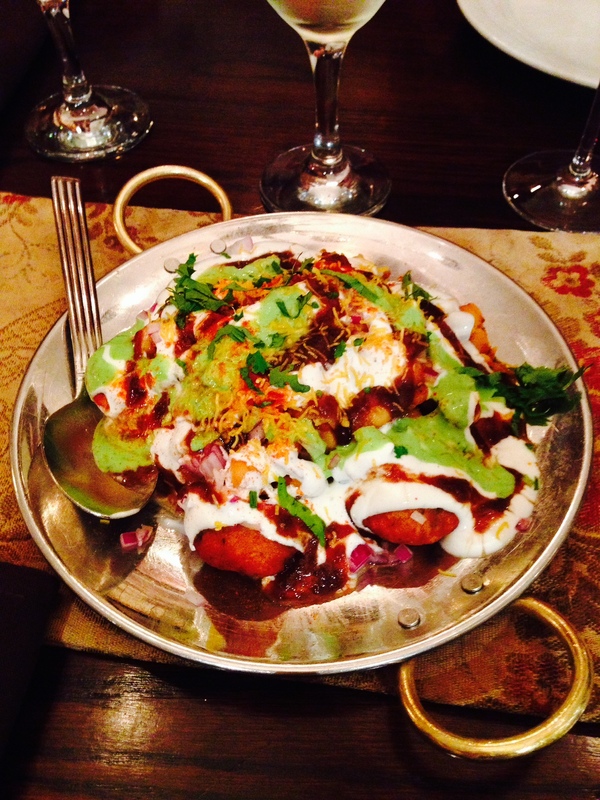 If you’re looking for a traditional Indian meal in a fine dining setting, then Itihaas is the place to go. I love the fact that the dishes are served in the centre of the table for everyone to share, creating a great feeling of togetherness where everyone chats and shares their food, and with its beautiful setting, hospitable staff and some brilliant dishes on offer, it’s worth venturing away from the usual curry house haunts. 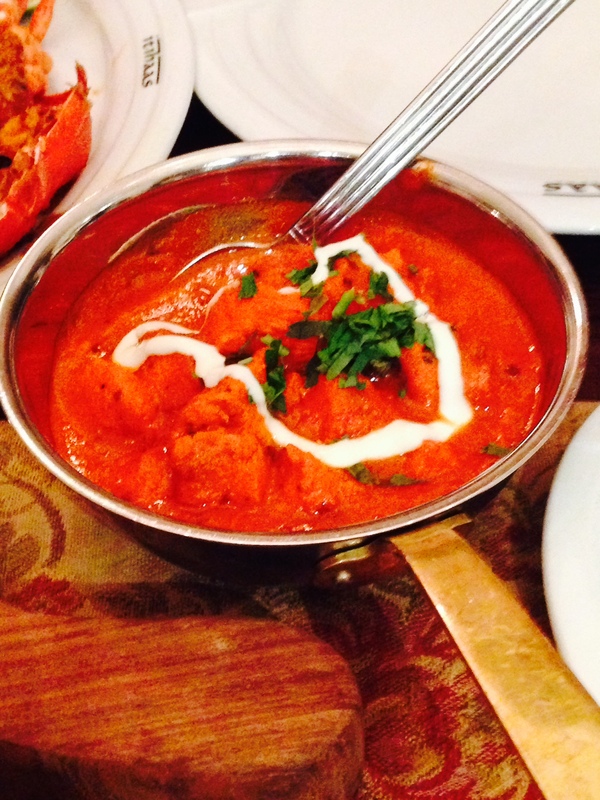 If you love Indian food as much as me, you won’t regret it. My meal at Itihaas was complimentary, which I am very grateful for. All opinions however, are my own. I haven’t been to Itihaas for a number of years, and reading your post makes me want to give it another try. It sounded a top night. I always remember it been good for veggies. Nice post. Thank you.